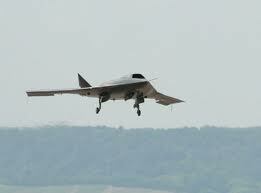 US officials have acknowledged that the military lost control of one of its stealth drones while it was flying a mission over western Afghanistan. Iran’s official IRNA news agency reported on Sunday that Iran’s armed forces had shot down the RQ-170, known as the Sentinel, and are now in possession of it. US officials rejected that claim, saying there were no indications the plane was shot down. In either case, officials said this would be the first Sentinel lost by the US. Libya’s NTC has given armed fighters from other parts of the country two weeks to hand over their weapons – or get out of Tripoli. Residents of the capital say thuggish and intimidating behaviour is out of control. A frightening confirmation came recently that Iran has been working on a nuclear weapon, according to a report published by the International Atomic Energy Agency — the UN watchdog — on November 8. It was the most detailed report so far about any military dimension of Iran’s nuclear programme. 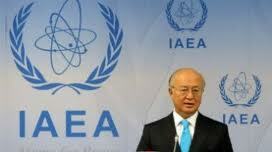 The IAEA a few days after publication underscored how serious it was. Bundestag politicians have paused to remember the victims of an alleged neo-nazi killing spree that has sent shockwaves across Germany. They paid their respects to eight men from Turkey and one from Greece, all murdered in the last decade. “We are aware of our responsibilities. We have decided to do everything possible within the rules of law to find how what happened and the background to these events,” said Norbert Lammert, President of the German Parliament. http://www.euronews.net/ Russia could deploy missiles to its EU borders aimed at missile defence facilities in Europe planned by the United States. Iskander missiles, which have a range of up to 500 kilometres, may be stationed in the Kaliningrad exclave, if Washington goes ahead with a defence system whose sites would be in countries close enough to pose a threat to Russia. The United Nation’s nuclear watchdog says Iran has worked on developing a nuclear weapon and on research and testing for such arms. And, in its most detailed report to date, the International Atomic Energy Agency (IAEA) says such activities may be ongoing. The price of Brent crude oil rose over one percent on Tuesday around $116 a barrel. Traders pointed to concerns about the escalating dispute over Iran’s nuclear programme as a big reason. Russia without explaining how it proposes to stave off Iran from its self avowed goal of having Israel nuked out- warned about Air Strikes or military intervention. Instead it seems to advice the world to learn live with it? How it escapes our understanding when Iran says it wouldn’t allow Israel to live at all? The death toll from a spate of gun and bomb attacks in northern Nigeria on Friday has now risen to 97. There were multiple blasts in the city of Damaturu and nearby Maiduguri. The military option against Iran is closer. Those are the words from the Israeli President in a TV interview, amid a raging debate about talk of an attack over Iran’s nuclear programme. Shimon Peres says he believes “intelligence services of several countries are looking at the ticking clock, warning leaders that there is not much time left”. He went on to claim that Iran is close to obtaining nuclear weapons. 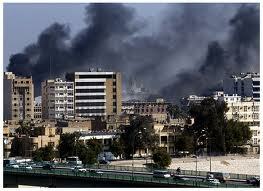 At least eight people are reported dead and dozens injured after three bomb blasts rocked the Iraqi capital. The explosions struck the busy Shurja market in central Baghdad on the first day of the Muslim festival of Eid. The number of people killed by violence in Iraq rose sharply last month with a string of roadside and suicide bombings in Baghdad. US is due to withdraw all its forces from Iraq by the end of the year. A Tibetan nun has burned herself to death in southwestern China’s Sichuan province. It is the 11th time this year an ethnic Tibetan has set themselves on fire in protest against Chinese policies. But it is the first time such a protest has been staged outside of Tibet. Al Jazeera’s Melissa Chan reports. The imminent announcement by International Atomic Agency regarding Iran and possibly in affirmation of its acquiring Nuclear capability this week has put Israel on high alert. Civilian evacuation and mobilisation capabilities in any such eventuality regarding the Nuclear turned Iranian with self avowed hostility regarding the existence of Israel itself is therefore natural. Iran has repeatedly vowed to wipe out Israel off the face of the earth and given its recklessness as in the recent Assassination plot against Saudi Ambassador at the U.S- Israel cannot do otherwise than be ready for all eventualities and send a message that it’s capable of facing up. Turkey and Lebanon’s Hezbollah too are bearing down on Israel with hostile intent. Hizbollah has leaked its intentions to fire some 20,000 Rockets and awe the Israelis and occupy Gallilee in a soon to come War with Israel. which never were denied them. The Flotilla is the flotilla of ‘useful idiots’ who would help Hamas break the cordon of Israel to check the ship loads of Heavy arms and Rockets through sea from Iran. They are the Chartered Naval Flotillas to the aid of Hamas Navy and not peace. Islamist premier of Turkey and the Islamist upsurge at post-Mubarak Egypt are restive for a showdown with Israel that would galvanise the Pan Islamist movement. The Peaceniks are also invariably without fail silent on Ceaseless Rocket attacks on Israeli civilian populations from Gaza and demonise selectively the Israeli measures defensive to such hostile actions.